How do I write a great product title? 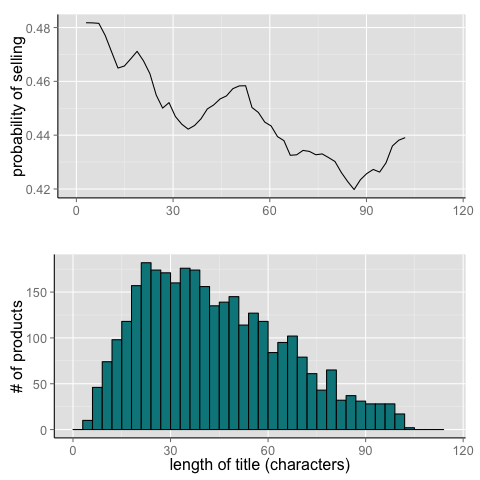 When studying sales data at the beginning of 2015, we discovered that the probability that a product will sell tends to decrease with the length of the product title. Short, catchy titles tend to sell better. Think about taking extra information (i.e. model numbers or specs) out of your product title. Be clear on what your product is. Don't be vague and use a title like "microcontroller." The title is not a tag box. Don't just throw a bunch of words together. Titles such as "microcontroller controller board Arduino beginner small raspberry pi clone" will only hurt your sales. Be sure to actually say what your product is. Don't use something such as "The best thing you've ever seen." Remember that Tindie has buyers from all over the world. A clear, concise title helps international shoppers understand what you are selling.